NBC continues to remain silent over the on-air crime committed by David Gregory last Sunday during Meet The Press when he was clearly in possession of a ‘high-capacity magazine’ in violation of D.C. Official Code § 7-2506.01. This code section makes it a crime to simply possess a ‘high-capacity magazine’ regardless of whether it is attached to a firearm and makes no exception that would apply to Gregory’s on-air display. Furthermore, this is a strict-liability offense which does not require any intent on the part of the person being charged. Claims of lack of evil intent, lack of knowledge, or ‘misunderstanding’ have no bearing on guilt in a strict liability case. If you possess it … you are guilty. And Gregory very clearly possessed it. Maybe that is why NBC is being so quite. And today, we found out where NBC went next. Based upon comments made to ABC News by an un-named ATF official, NBC went to the feds when the MPD didn’t give them the answer they were looking for. The ATF reportedly told NBC that they did not enforce DC’s gun laws but did agree to ask un-named DC officers who occasionally “worked with the agency.” According to the ATF, it was these un-named officers who said it would be acceptable for Gregory to ‘display’ the device so long as it was empty. 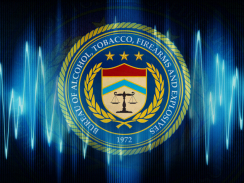 ATF apparently relayed the message back to NBC. Finally hearing an answer they liked, NBC apparently gave Gregory a green light and he became a criminal in front of the audience of Meet The Press by violating one of the very laws he has so stridently advocated. However, as I noted in my previous article, DC is not known for being merciful when ordinary citizens have “misunderstandings” so to suddenly begin doing so in Gregory’s case will only validate the belief that progressive elites are exempt from the laws they wish to impose on the rest of us. MPD must arrest and prosecute David Gregory if they are to remain credible as a law enforcement agency. This entry was posted in Abuse of Discretion, Abuse of Power, David Gregory, District of Columbia, High Capacity Magazines, Media Views on The Second Amendment. Bookmark the permalink. “bad advice” like they gave the Remington family? Let him sit in jail a year or two waiting for trial. That’ll learn him, wont it? Along with the credibility of MPD is the issue of the same for NBC and Gregory. There presently is little enough to go around to all three. My question is where is the D.C. prosecutor who could prefer charges or at least convene a grand jury – presume these are options under D.C. law.